Our name plates with frames are available with molded frames and laser engraved name plates (included). 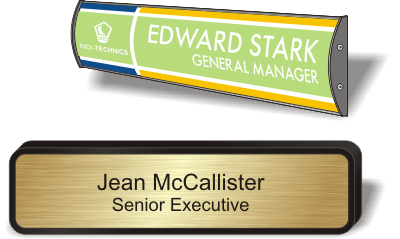 Our contemporary curved name plates come with clear removable lens for printed messages (not included). To see an overview of the various options click the "Name Plates with Frames" link above.